Took a long time to get our drinks and about 30-45 min to get our food once ordered. The fajitas are delicious! And the chocolate piñata was so much fun. We will definitely be back! Great place, great food! Loved the wuesadillas and the mojitos were great! It’s a very nice restaurant with an excellent wait staff. Came in after church on a Sunday afternoon and Patrice took care of our family and in-laws, 7 top. She was so refreshingly kind and considerate. Brought refills on drinks before we had to ask, kids food came out incredibly fast (so they weren’t fussy!) Food quality was great! Love their table-side guacamole. Best restaurant in town! We LOVE Uncle Julio’s! The only thing I would like more is if the noise level was less. But that won’t stop me from going! They are great! Service was decent, good was just okay. I was so excited to try this place with friends and left hugely disappointed. Tried Uncle Julio's for the first time for "date night" since it is about an hour's drive from where we live. We made a reservation for 7:00 thinking that was early and we would beat the Saturday night crowd but there were already lines out the door. We were told we had to wait about 15 mins. 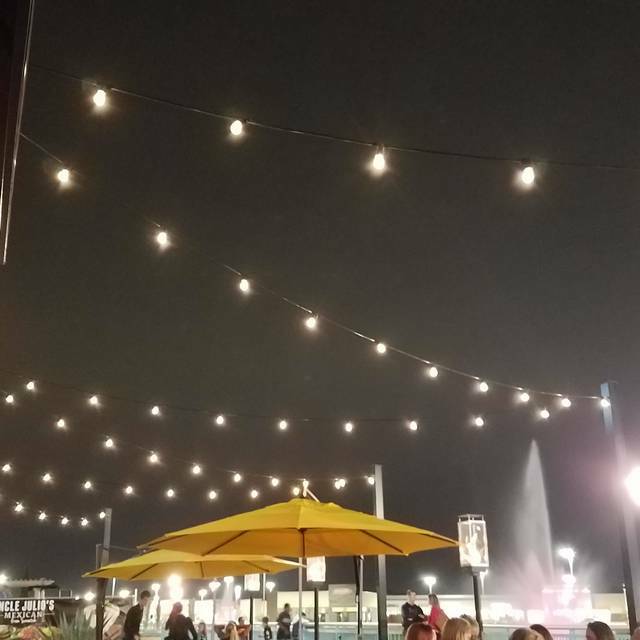 It was super busy and loud; if you are looking for a place where you can kick back, relax and have a conversation this is not it, because people and waitstaff are buzzing around you and there are kids screaming. The noise level was so high we literally had to yell to each other across a small table. If there were friends with us at a bigger table we would not be able to chat (unless you can really project your voice very loudly over everyone else!) That being said, the food was very good. The guacamole was delicious and our meals were very good as they are freshly made. The chips are deliciously thin and do not even need salsa (the salsa has a smoky taste if you like that type). My margarita of the day was strawberry & kiwi which was delicious since it is made with fresh lime juice, however that is pretty much all you taste (could not taste any tequila or alcohol) but fortunately I do like lime. Service was not great but I guess that is to be expected given it was just so busy. I asked our waiter to come back in a minute to take our order but it turned out to be about 15 minutes later. Fortunately we had chips to nibble on. When he took our order I asked him to bring us some paper napkins to wipe the table but he never did. When our drink glasses were empty he never asked us if we wanted another drink. I asked for black beans instead of charro and got charro beans (another waitstaff changed them out). He never came back to check to see if "everything was ok" or if we needed anything else. We had to nearly tackle him as he passed by to get our check and to-go boxes. I guess expecting great service would not be realistic. I would go back but not on the weekend. This was the 3rd time we have been to the restaurant. The service is always terrible. This time the server brought a beer that was unopened with no glass. When we asked her to open the bottle she left, came back with a bottle opener and asked he she could take the bottle away to open the beer. She came back on her tip toes with a glass of beer that was spilling over. All we wanted was an opened bottle and a glass. We ordered beef fajitas and she never asked how we wanted them cooked. The came out rarer than rare and we sent them back. When the cooked fajitas returned we had to ask for tortillas! The wait staff needs to be trained on menu items, customer service and basic sense. The food is great but the servers are definitely the downfall of this establishment. We love Uncle Julio’s for many reasons. The food, of course!! The best cheese and onion enchiladas in the world, as well as everything else we have tried on the menu. And, to top it all off, the service is impeccable! Fajitas not cooked to our order. Then we ordered sopaipilla’s, but came out burnt and hard. Notified server who said one minute and just brought the check with no explanation or concern. We paid for all the bad food and will not go back. They have given bad service and food to our family for the last time. Thank you! We are glad you approve! The food and service were excellent as usual. We dine there often and will continue to dine there. Keep up the good work. BKK1021, thank you very much! It can get pretty noisy at Uncle Julio's, so pick your seat carefully. Food was a bit pricey but you do get a lot of food. I just don't think quantity makes up for quality. Waiter did a decent job but had to repeat requests several times and still a couple of items were never brought. 20 mins to close they had already cleaned the coffee pot and we couldnt get coffee. The chocolate Pinata was awesome though. Uncle Julio's serves up great atmosphere with subdued lighting, cleanliness, gorgeous smells, and delightful plates. For special occasions, this is your ultimate Tex-Mex destination. An appetizer, drink, and entree plus tip cost me roughly 50 dollars, so planning accordingly is a must. Know what you're getting into, but that it is worth it. Also, book a table im advance. Otherwise, you won't be dining. Good food, good ambiance and very positive and caring manager checking on us. 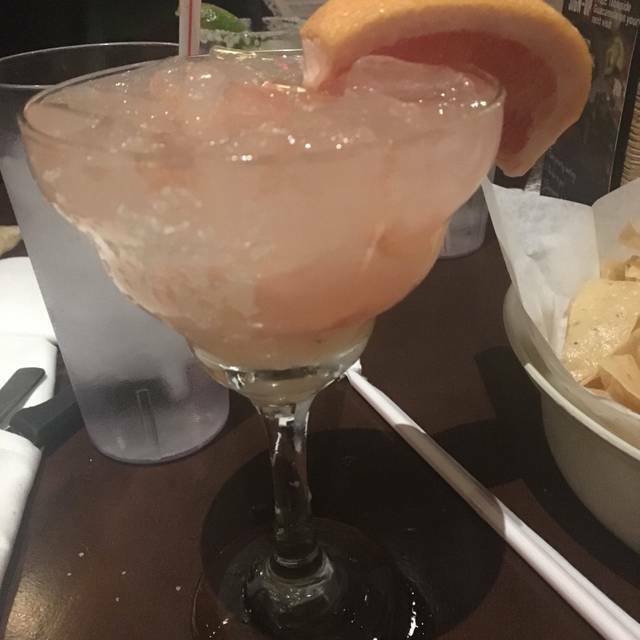 The margaritas were OK but seemed very light on alcohol, not sure they were worth having. Me and my girlfriend have been there twice so far and each time we have had excellent service. The food was very good and well prepared. The drinks were good. I recommend for a date since the restaurant has a very cozy lighting. Denzel, thank you! We are so happy you both enjoyed yourselves. A beautiful day so we ate a fabulous meal on the patio. Our server was awesome. BjA5, thank you! We are so happy you had such a great time! TERRIBLE TERRIBLE SERVICE! Everything went wrong from the moment we got there. No waiter/waitress, unprofessional staff, incorrect drinks (3 times), incorrect food, took and hour from when the first person in our group got their dinner until the last person got their dinner. Took us two and a half hours to be seated (yes we had a reservation), get our food, and pay the check. Only saving grace: the food was good (when we finally got it even if it was wrong) and the Chocolate Piñata is awesome. The restaurant was very crowded , and loud. We got there 30 mins early and went to the bar to have a drink . We waited to order up until the called us for our table , about 25 mins no drink . Our waitress should have been working at Cracker Barrel way to many “ honey and Darlins” she took our drink orders and an appetizer order. 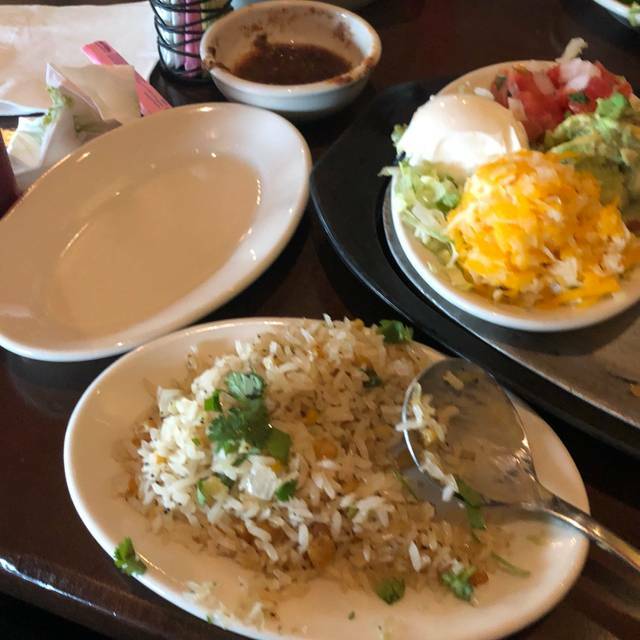 We got our order , cold , runny queso, tasteless, and oh yea no plates the server just set the bowl on the table and walked off. We got our drinks 5 mins later after we asked a dour then, my $13 margarita was watered down due to melted ice , since it sat at the bar for 15-20 mins before it was served, I sent it back , the waitress asked it I wanted to send it back I said yes she rolled her eyes and brought me another . The actual food is good , the service ruined it along with a waitress apologizing for the poor service and telling us that the place is run by teenagers . Unfortunate, I know the GM he is a good guy and wants a first class restaurant . Excellent service, delicious and fresh food, exceptional drinks. What an incredible evening and meal with friends! I might add that we were ordering different drinks and different appetizers when we first arrived, and I was amazed how our server never became overwhelmed and served us quickly and with a huge smile. Thank you! Loved it loved our waiter he was a doll and great with the kids! The quest was great and the chocolate piñata was so yummy and fun! Thank you very much! We are so glad you all had a great time! Alex was our server. He was great! Thank you very much! Alex is awesome in our book too! 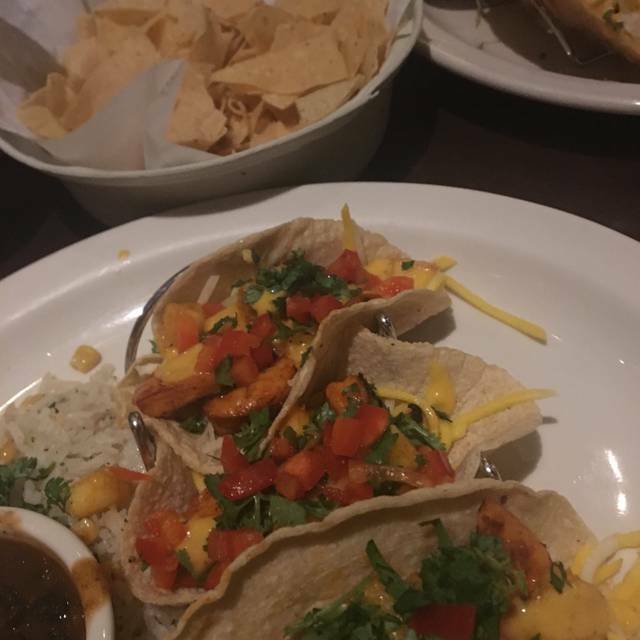 Very good food and service, very nice location, definitely a higher end Mexican food experience and ambience, but it will cost you a little more, but well worth it. The food was alright. The service and the ambiance were good. 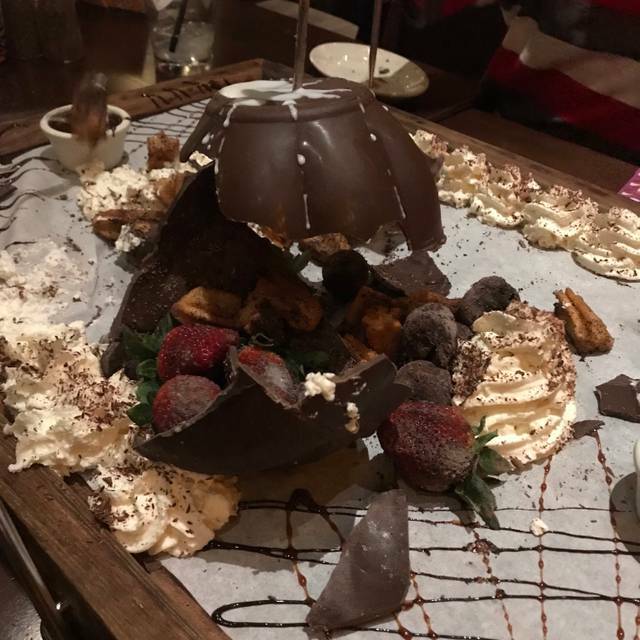 The chocolate pinata was amazing! Well worth the money when splitting with 2 other couples. Tamie, thank you for spending you time with us! Jim, thank you! We are so glad!!! The food was excellent. Service was attentive. The prices are not moderate but the quality is in line with the prices. Good place to go for a high end Mexican meal. 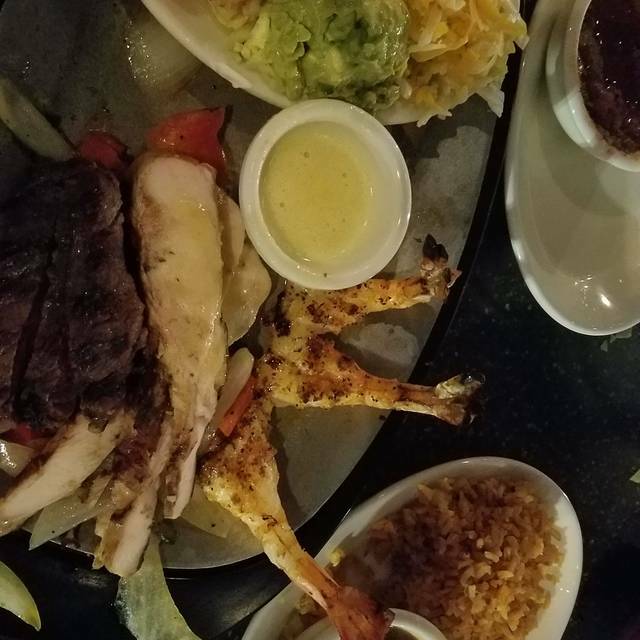 Our server was outstanding in offering choices which are part of our keto eating! Had a wonderful experience! 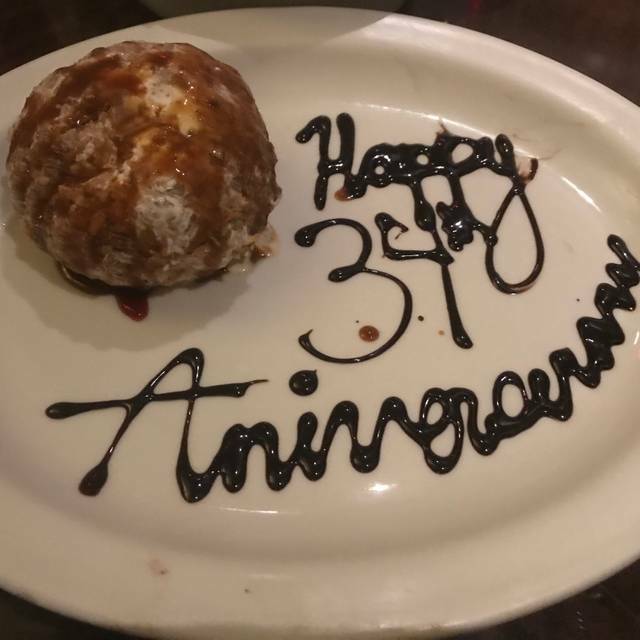 Our server was just awesome, went above and beyond. The food was amazing and the chocolate lover piñata was the best!!! Nice place - great for birthdays - especially with the Chocolate Pinata. Service was off the charts and has been every time we have been there. The food is good - not off the charts (probably just my taste). Would go back for another Bday. Chicken Pechuga was delicious, especially the onions! The Charro beans were a disappointment. Great flour tortillas, too! Great food and so funny celebrating a birthday with the chocolate piñata. 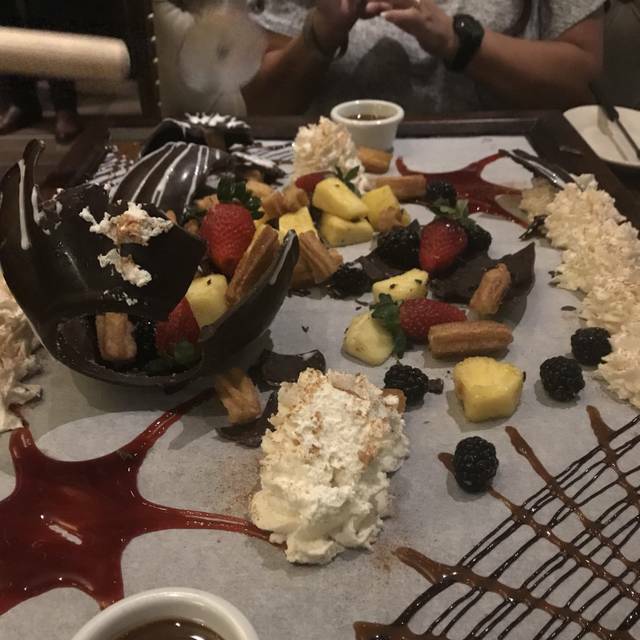 Our waiter was exceptional..brought our food simultaneously...For my sons birthday dinner..the Chocolate pinata was fun as well. Little too dark and loud. But overall really enjoyed dinner. Great for celebrating birthday with chocolate piñata. Hostess was rude. Great food and fantastic service...we love this place!